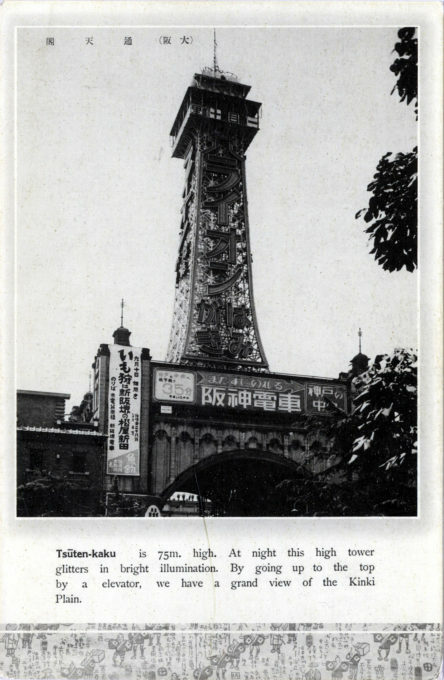 “The Tsutenkaku Tower,” Osaka, c. 1930. “The viewing tower called ‘Tsutenkaku,’ with an elevator at Shinsekai.” Tsutenkaku Tower, Osaka, c. 1930. “Osaka Electric also did the wiring for the Tsutenkaku Tower, which was built in 1912 in the Shinsekai district after the model of the Eiffel Tower. 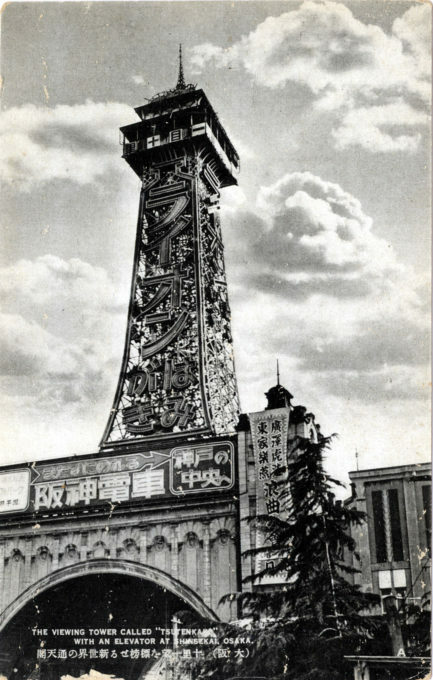 This early Osaka landmark was torn down during World War II. At first the same company in charge of the construction was to do the wiring, but before it was complete, our company was asked to take over. Fourteen or fifteen of us were put on the job, and opening day was so close we had to hurry. “Working high up inside the roof of the tower’s sightseeing pavilion, at first I felt dizzy and my legs would grow wobbly whenever I looked down. In two or three days, however, I grew used to the height, and was finally able to concentrate on my work. 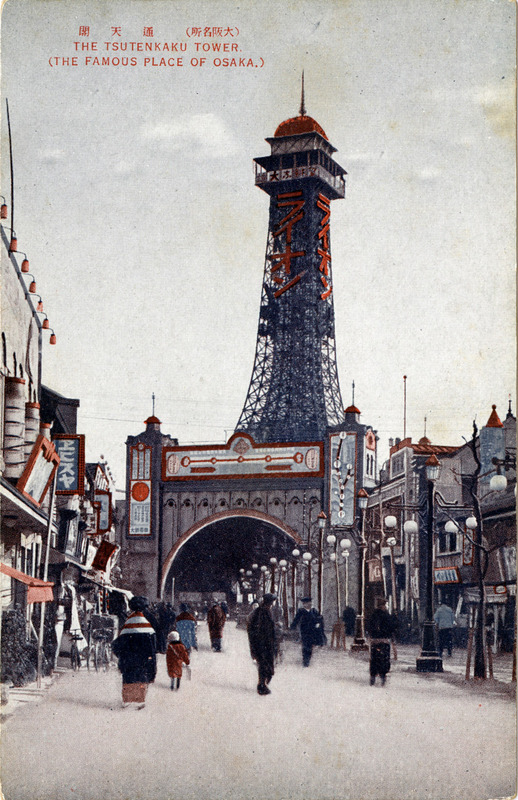 From the wiki: “The original tower, patterned after the Eiffel Tower and the Arc de Triomphe, was built in 1912, and was connected to the adjacent amusement park, Luna Park, by an aerial cable car. At the time of its construction, its height of 72 meters made it the second tallest structure in Asia. It quickly became one of the most popular locations in the city, drawing visitors from all over the area.